Iconic, colorful, quirky and avant-garde, this is Inés Bellorez’s DNA at best, a medley that has bred new classics for women with a taste for the rare and extraordinary, a brand that celebrates individuality and stands out for being sui generis. Our creations are cult objects, pieces that could easily be confussed with art. They have life on its own, and are designed as a whole sensory experience, even the smallest detail has been well thought of all made by some of the best leather artisans of Colombia. We don’t just design bags, we breed our sidekicks, our partners in crime that witness our daily adventures, they are extensions of our personality that reveal in a subtle way who we are and what we love. It’s that object of our affection that will live happily ever after in our closets, and will surely be passed along to someone as excited for fashion as life itself. While in the look out for stores where to sell and offer her purses, Andrea Beltrán found a beautiful antique house nested in an exclusive area of Bogota, a fateful sign that gave birth to Casa Précis. 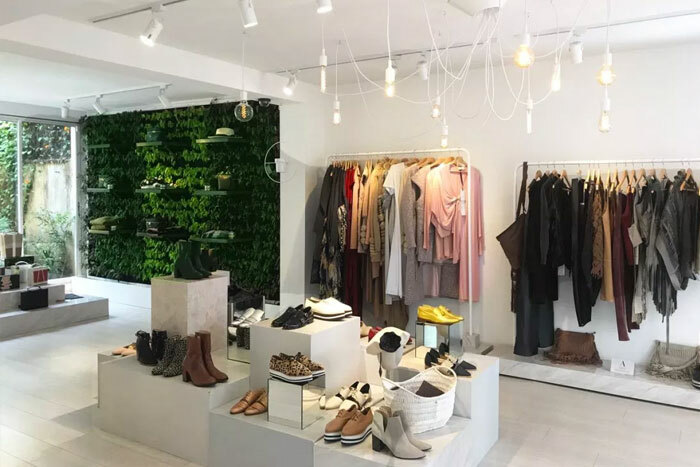 What originally had started as the Inés Bellorez flagship store soon became an exciting creative hub for emerging new talent and an important showcase for top of the line colombian fashion design. The store is a true goldmine of beatifully eclectic pieces, carefully curated as if they were part of a museum exhibit, where one can find that special piece to inspire or complete a look literally, from head to toe -hats, jewelry, bags, ready-to-wear and bathing suits- that all share one thing in common: out of the box design. Nowadays the multibrand boutique is a bookmark amongst coolhunters and fashion enthusiasts, and it’s the go to place for those fishing for the freshest and most original designs of the country, all under the same roof. Latin Curated offers a perfect portfolio for outsiders to be able to complete successful business ventures with Colombian designers.